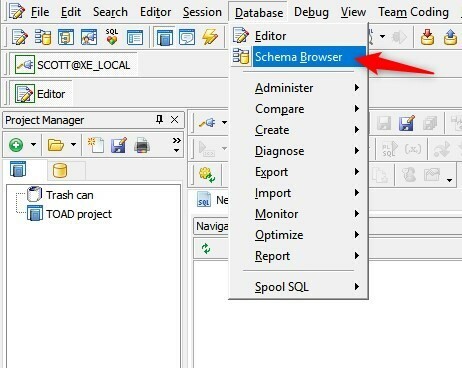 The Schema Browser is an interface that allows us to work with various objects in the database. To learn about this interface, we first open Toad and connect to a database schema. 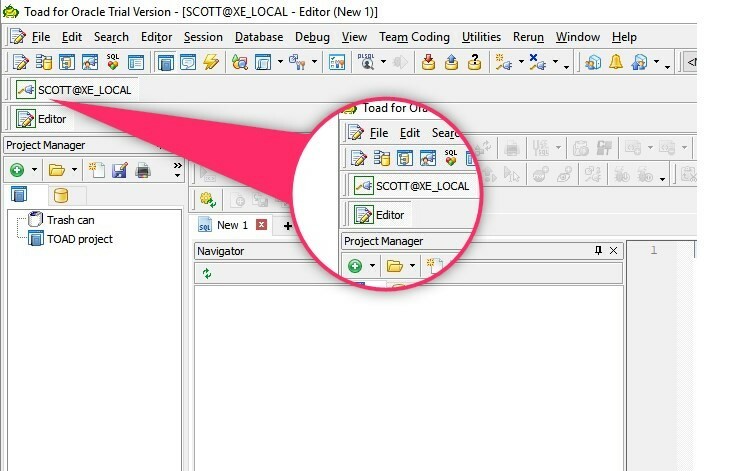 For this example, we are using the SCOTT schema of Oracle Express Edition database. 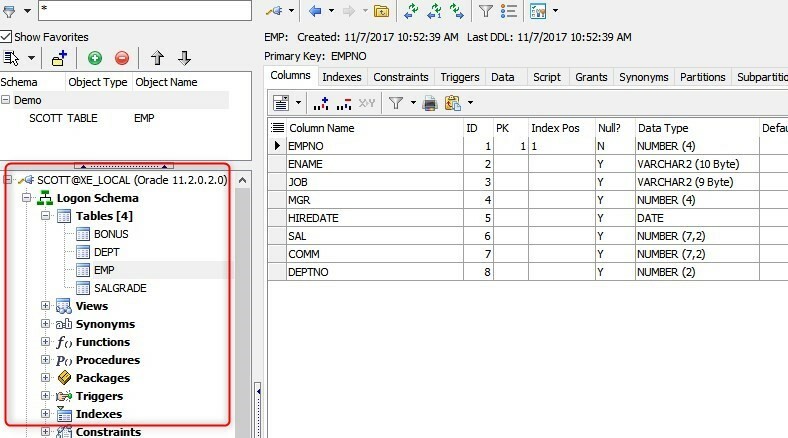 The first thing we see when we connect to the database is the Editor. For more information about this feature, you can read an article HERE and view the video HERE (Spanish language). To access the "Schema Browser", choose the second icon in the icon bar or select “Schema Browser” from the "Database" menu. In this screenshot, we can see the connection schema and all the objects that belong to it. When selecting "Tables", we can see a list of tables that belong to the schema. If we were to have hundreds of tables in our schema, the box below that functions as a filter, would allow us to search them by name. Since the first actions are very easy to understand. We will go into more detail about the last icon on this icon bar, the "Browser Style", which allows us to modify the display style of the “Schema Browser”. The objects are displayed by default as Dropdown, but we can also see them as Tabbed (multi-line tabs). Tabbed (single row of tabs) is a form of visualization where we can see the previous and next scroll buttons. Additionally, we can indicate if we want to visualize the icons that are under the filter box by selecting or deselecting the "Show LHS Toolbars" option. 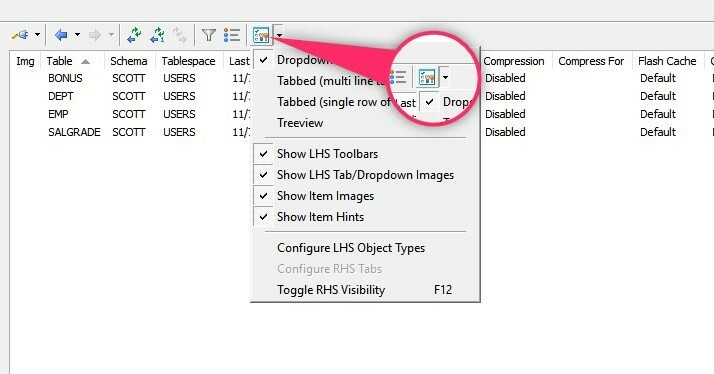 Similarly, we can show or hide the icons of the list of objects by selecting or unselecting the option "Show LHS Tab/Dropdown Images". If the items have assigned icons, we can also show or hide them by selecting or deselecting the "Show Item Images" option. On the other hand, we have the option to configure which objects we want to see in the list of schema objects by selecting the option "Configure LHS Object Types". When we expand the list of objects, we can see that the DB Links option is no longer displayed (figure on the right). We have the option to add items to a list of favorites where we can have the objects that we use most as a shortcut. 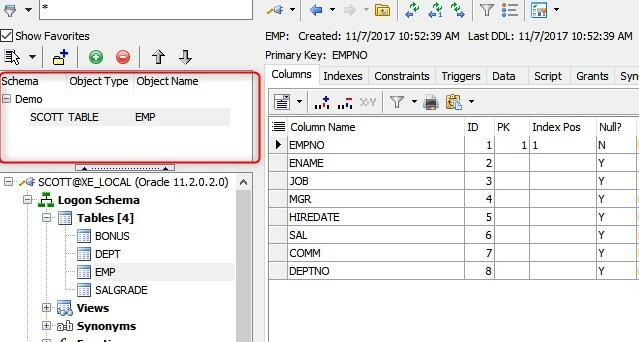 To do this, we select the object we want to add to the list of favorites, choose the EMP table with a right click on the mouse, and select "Add to SB Favorites List". 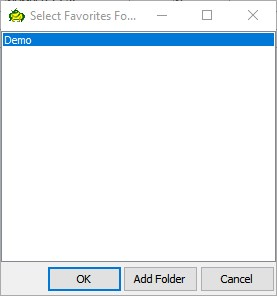 A window will open where we will create a folder that we’ll name, for example, Demo, and then click on the OK button. In order to see all the objects that we have in our favorites list, we need to choose the visualization form of Treeview, which we saw earlier in this post, by selecting Browser Style > Treeview. Then, we select the "Show Favorites" box. In this way, all folders with objects added to our favorites list will be displayed. 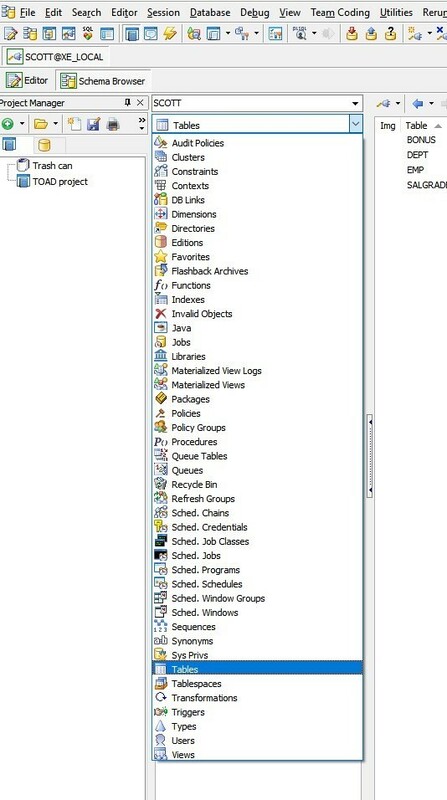 Finally, every time we select an object in the Dropdown view, Toad for Oracle will activate or deactivate the icons on the toolbar that allow the objects to perform the operations that the user has access to depending on the type of user that it is connected to. 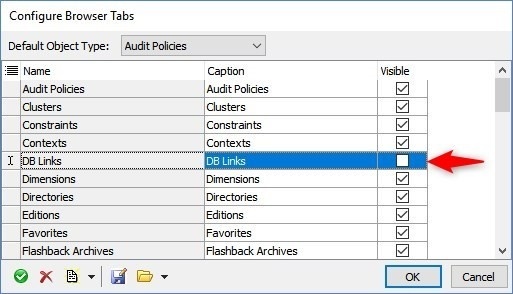 In future articles we will increase the utilization of this window for the editing of different database objects as well as the use of various assistants provided by Toad for Oracle.